It's 2019! The Malden Chamber is ready for a great year! The Malden Chamber of Commerce is off to a great start and we are looking forward to everything we are planning for our members. Do you have a specific event you would like us to plan? Do you have an educational topic you would like to us to cover? Let us know what we can do for you. That is why we are here! Email us at info@maldenchamber.org to let us know. Tickets for our 10th Annual Taste are on sale! *As of 4/1. Please continue to check our website often for more additions. Stay tuned for information regarding our first Restaurant week - April 30th - May 4th. Do you have business colleagues or friends who would benefit from Chamber membership? Encourage them to join and you will receive a $50 credit toward your next membership dues bill. Or, if you have a favorite Malden Chamber non profit member and would like to donate your $50 credit to them, we can make that happen! Either way, helping us grow our membership is a benefit to us all. We are happy to support you with this effort so contact us with any questions or for a paper version of the application. Help us make the Malden Chamber of Commerce the strongest it can be! Click on their name below to visit their website (if available). 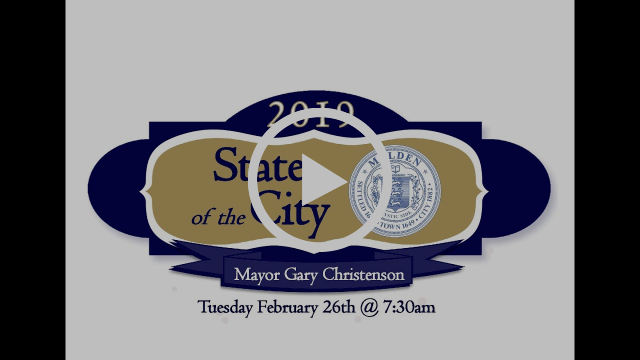 If you were not able to attend our Sold Out State of the City Address, you can watch it here. My Little Best Friends ELC. Interested in becoming a Diamond Sponsor for 2019? Email us to find out more information! Space is limited - we'd love to see your name listed. MCC members: have an event you would like included in our mid-monthly newsletter? Email it to us HERE! Please send all material at least a month PRIOR to your event date for inclusion. Deadline is the 10th of the month. Copyright © 2019 Malden Chamber of Commerce, All rights reserved.